Ready or not, summer is just around the corner, which means that the kids are officially out of school. Many of us will take time to travel to the coast, as there’s nothing quite like the salty air, fresh ocean breezes, and warm sunshine on your skin. Luckily, Pacifica Hotels offers a selection of California beach hotels that are nestled along the beautiful Pacific coastline. Browse through our beach hotels below and find your perfect fit. After all, every summer has a story at Pacifica Hotels. There are few places more refreshing than the shores of Moonstone Beach, and the Central Valley is well aware of this. Many flock to Cambria to escape the heat every summer, where Pacifica Hotels offers 4 award-winning hotels just across the street from Moonstone Beach. Starting with Fireside Inn on Moonstone Beach, hotel guests can enjoy complimentary breakfast, a heated pool and spa, and easy access to the beach. Then, there’s Cambria Landing Inn & Suites – which is more appropriate for couple getaways with its hot tubs and in-room breakfast delivery. A short walk south, discover the newly-remodeled FogCatcher Inn also offering an outdoor pool and complimentary breakfast to its guests. Last but not least, Pelican Inn & Suites offers a daily wine and cheese reception, a pool & spa, and complimentary breakfast just steps from Moonstone Beach. A little more south, Pismo Beach continues to attract summer vacationers year after year with its cool breezes and spacious beaches. Here, Pacifica Hotels offers 4 oceanfront hotels that beckon to be visited this summer. Starting with Spyglass Inn, hotel guests can enjoy newly renovated accommodations, unparalleled ocean views, a heated pool & spa, and direct beach access. A few blocks down, Cottage Inn by the Sea resembles the English countryside on the outside and newly remodeled, chic décor on the inside. Enjoy its oceanfront pool & spa, complimentary daily breakfast, and location on the bluffs of Pismo Beach. For a more affordable option, The Tides Oceanview Inn & Cottages offers simple conveniences like free WiFi, free parking, and flat-screen TVs with cable. 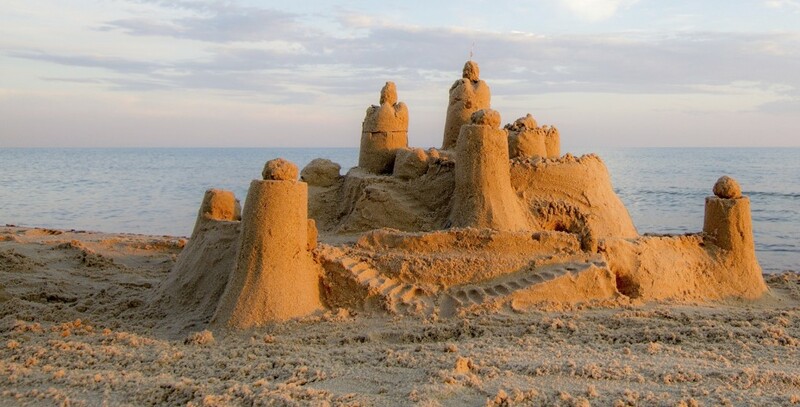 Drive a few miles south and you’ll find Sandcastle Inn, ideally located on the beach near the Pismo Beach Pier. Enjoy direct beach access, an oceanfront Jacuzzi, complimentary breakfast, and much more at Sandcastle Inn. Part hotel part hostel, The Wayfarer is Santa Barbara’s newest lodging experience. Experience its central location 1 block from East Beach and the beautiful Santa Barbara Pier. Rent a bike and cruise the Santa Barbara boardwalk, or just relax on one of the hotel’s inflatable red chairs poolside. Every day, guests will enjoy complimentary breakfast, free WiFi, and its unbeatable location. Los Angeles is no stranger to beach vacations and Pacifica Hotels offers some great hotel choices for your upcoming summer vacation. Located right on Mother’s Beach, the Jamaica Bay Inn offers a beachfront pool & spa, stand-up paddle board rentals, and Beachside Restaurant and Bar. Also located along the waters of Marina del Rey, the Marina del Rey Hotel just underwent a 25 million dollar hotel renovation, offering brand new guest rooms with balconies and patios, a waterfront infinity pool, and SALT Restaurant and Bar. The Hilton Garden Inn Marina del Rey is also an outstanding option for your summer vacation, encompassing a heated pool & spa, the Marina Grill, and a convenient location just across the street from Mother’s Beach. For a more valuable hotel option, both the Inn at Marina Del Rey and the Inn at Venice Beach are both located near famous Venice Beach and offer complimentary breakfast, comfortable rooms, and free WiFi. The new Redondo Beach Hotel was just remodeled and is located across the street from King Harbor. This summer, we invite you to enjoy its heated pool & spa, complimentary breakfast, onsite bike rentals, and convenient location near the harbor. Summer memories last a lifetime in San Diego, and Pacifica Hotels offers 2 beach hotels for your summer vacation. Fall in love with the Blue Sea Beach Hotel in Pacific Beach, offering the only oceanfront pool in the area, a prime location along the boardwalk, and newly remodeled guest rooms with balconies and patios. A little more north, La Jolla Cove Suites is just steps from La Jolla Cove and features complimentary breakfast on the hotel’s spacious rooftop patio, oceanview guest rooms, onsite bike rentals, and plenty more. From Central California to San Diego, we invite you to plan the perfect summer vacation with Pacifica Hotels. There’s nothing quite like this time of year – when your hair gets lighter, your skin gets darker, and the memories last a lifetime. 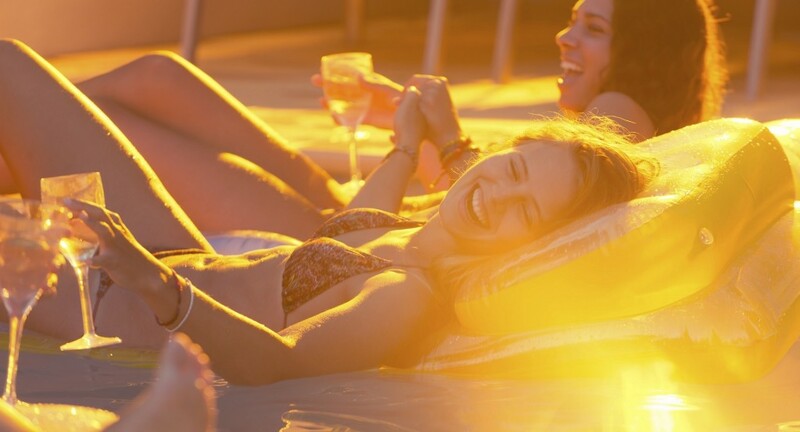 Create your own summer story with Pacifica Hotels. This entry was posted in Cambria, Central Coast, Los Angeles, Marina Del Rey, Pacific Beach, Pismo Beach, Redondo Beach, San Diego, Santa Barbara, Stay, Venice Beach. Bookmark the permalink.